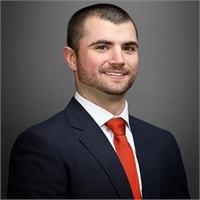 Zack joined Barnum Financial Group in 2015. He provides his clients with the knowledge and insights they need to make informed financial decisions with confidence. Zack works with his clients to establish their financial goals and objectives in the context of what they want to achieve as well as their time frame and risk and return preferences. From saving more intelligently to investing more strategically to protecting their assets more effectively, he can help you find solutions to meet both the short-term needs and long-term objectives. Zack earned his Bachelor's of Science degree in finance from Quinnipiac University. He was a member of the Financial Management Honors Society (FMHA) at Quinnipiac University. When he is not at work, Zack enjoys playing golf and hockey. I am licensed and registered to offer products and services in [RI]. Licenses and registrations will vary by representative and some representatives may be licensed and registered in additional states. Please contact this office for further information.